J.R. Smith, Iman Shumpert and Dion Waiters traded in Cavs-Thunder-Knicks deal. 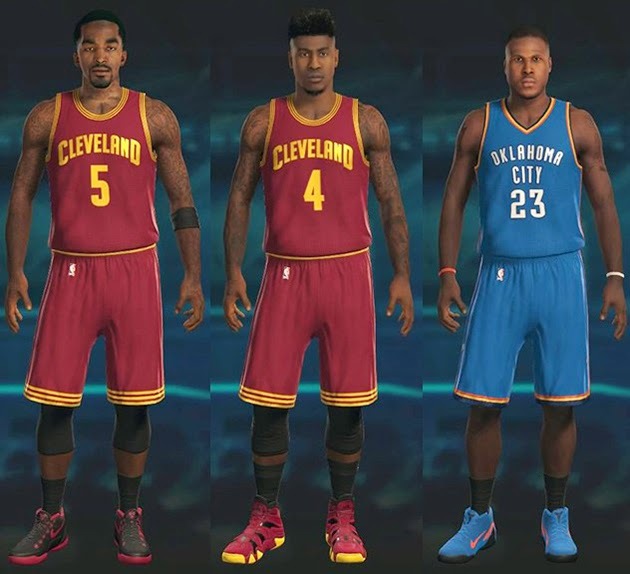 A new roster update for NBA 2K15 has been released, featuring updated lineups and rotations as well as all injuries and activations. The jersey numbers for traded players have been updated. All of the player movement from yesterday including the signing of point guard Langston Galloway have also been accounted for. Expect Accessory updates and attribute updates for the rest of the league in the very near future. We are almost caught up from the holidays. Once it is 100% caught up expect the near daily updates you have become accustom to!